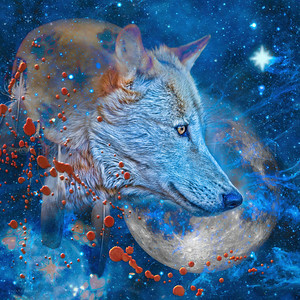 WOLF ARTWORK is dedicated to all wolf species, Alaskan grey, Arctic, Mexican red wolf, Maned, Mother & baby wolves. 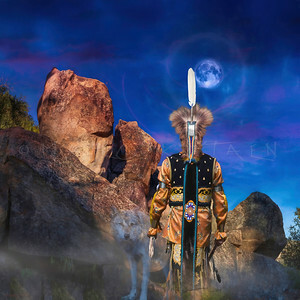 Wolf photography portraits. 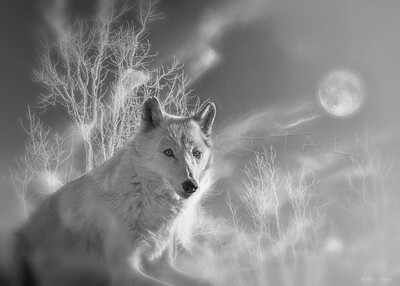 FOLLOWING THE FLOW WOLF Gray wolves range in color from grizzled gray or black to all-white. As the ancestor of the domestic dog, the gray wolf resembles German shepherds or malamutes. Wolves play a key role in keeping ecosystems healthy. They help keep deer and elk populations in check, which can benefit many other plant and animal species. The carcasses of their prey also help to redistribute nutrients and provide food for other wildlife species, like grizzly bears and scavengers. Scientists are just beginning to fully understand the positive ripple effects that wolves have on ecosystems. Today, their range has been reduced to Canada, Alaska, the Great Lakes, northern Rockies and Pacific Northwest. 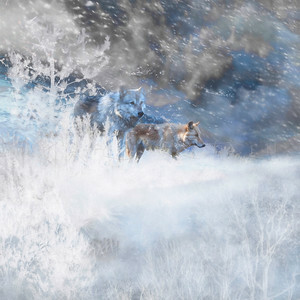 Thanks to the reintroduction of wolves in 1995, Yellowstone National Park is one of the most favored places to see and hear wolves in their native habitat. Wolves require large areas of contiguous habitat that can include forests and mountainous terrain, and Mexican gray wolves can thrive in desert and brush in the southwest. Wolves live, travel and hunt in packs of 7 to 8 animals on average. 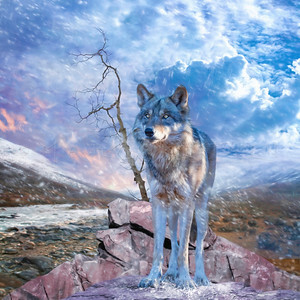 Packs include the mother and father wolves (called the alphas), their pups and older offspring. The alpha female and male are typically the pack leaders that track and hunt prey, choose den sites and establish the pack's territory. Breeding season occurs once a year late January through March. Pups are born blind and defenseless. The pack cares for the pups until they fully mature at about 10 months of age when they can hunt on their own. Once grown, young wolves may disperse. Dispersing wolves have been known to travel 50 to 500 miles. 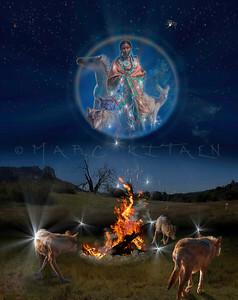 BROTHER OF THE RANGE WOLF ©Marc Kitaen Gray wolves range in color from grizzled gray or black to all-white. As the ancestor of the domestic dog, the gray wolf resembles German shepherds or malamutes. 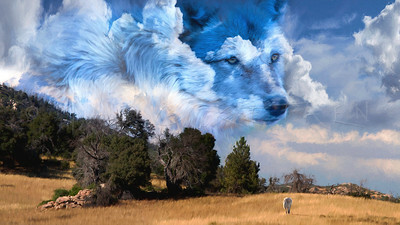 Wolves play a key role in keeping ecosystems healthy. They help keep deer and elk populations in check, which can benefit many other plant and animal species. The carcasses of their prey also help to redistribute nutrients and provide food for other wildlife species, like grizzly bears and scavengers. Scientists are just beginning to fully understand the positive ripple effects that wolves have on ecosystems. Today, their range has been reduced to Canada, Alaska, the Great Lakes, northern Rockies and Pacific Northwest. Thanks to the reintroduction of wolves in 1995, Yellowstone National Park is one of the most favored places to see and hear wolves in their native habitat. Wolves require large areas of contiguous habitat that can include forests and mountainous terrain, and Mexican gray wolves can thrive in desert and brush in the southwest. Wolves live, travel and hunt in packs of 7 to 8 animals on average. 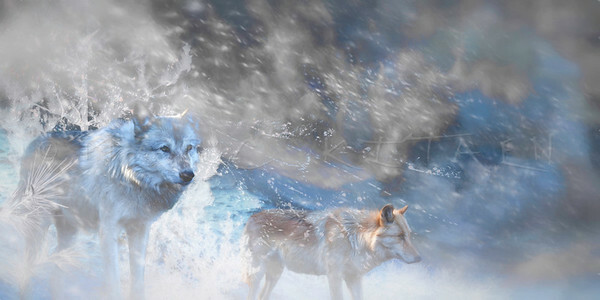 Packs include the mother and father wolves (called the alphas), their pups and older offspring. The alpha female and male are typically the pack leaders that track and hunt prey, choose den sites and establish the pack's territory. Breeding season occurs once a year late January through March. Pups are born blind and defenseless. The pack cares for the pups until they fully mature at about 10 months of age when they can hunt on their own. Once grown, young wolves may disperse. Dispersing wolves have been known to travel 50 to 500 miles. SIRIUS ALPHA WAVES WOLF alaskan grey wolf Gray wolves range in color from grizzled gray or black to all-white. As the ancestor of the domestic dog, the gray wolf resembles German shepherds or malamutes. Wolves play a key role in keeping ecosystems healthy. They help keep deer and elk populations in check, which can benefit many other plant and animal species. The carcasses of their prey also help to redistribute nutrients and provide food for other wildlife species, like grizzly bears and scavengers. Scientists are just beginning to fully understand the positive ripple effects that wolves have on ecosystems. Today, their range has been reduced to Canada, Alaska, the Great Lakes, northern Rockies and Pacific Northwest. 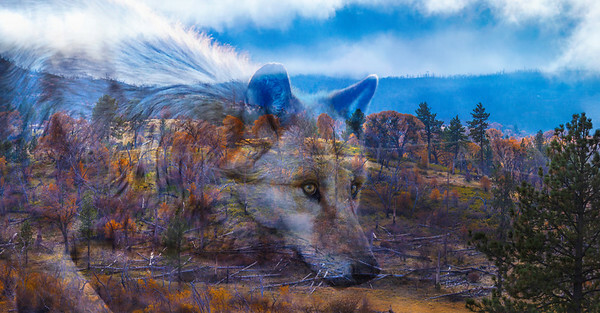 Thanks to the reintroduction of wolves in 1995, Yellowstone National Park is one of the most favored places to see and hear wolves in their native habitat. Wolves require large areas of contiguous habitat that can include forests and mountainous terrain, and Mexican gray wolves can thrive in desert and brush in the southwest. 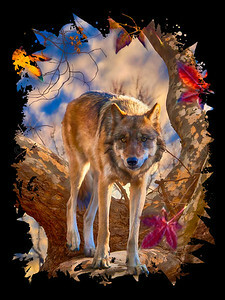 Wolves live, travel and hunt in packs of 7 to 8 animals on average. 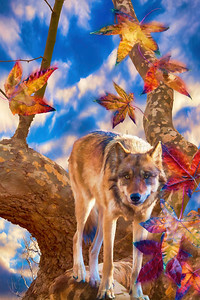 Packs include the mother and father wolves (called the alphas), their pups and older offspring. The alpha female and male are typically the pack leaders that track and hunt prey, choose den sites and establish the pack's territory. Breeding season occurs once a year late January through March. Pups are born blind and defenseless. The pack cares for the pups until they fully mature at about 10 months of age when they can hunt on their own. Once grown, young wolves may disperse. Dispersing wolves have been known to travel 50 to 500 miles. SIRIUS ALPHA WAVES WOLF (square version) Gray wolves Gray wolves range in color from grizzled gray or black to all-white. As the ancestor of the domestic dog, the gray wolf resembles German shepherds or malamutes. Wolves play a key role in keeping ecosystems healthy. They help keep deer and elk populations in check, which can benefit many other plant and animal species. The carcasses of their prey also help to redistribute nutrients and provide food for other wildlife species, like grizzly bears and scavengers. Scientists are just beginning to fully understand the positive ripple effects that wolves have on ecosystems. Today, their range has been reduced to Canada, Alaska, the Great Lakes, northern Rockies and Pacific Northwest. Thanks to the reintroduction of wolves in 1995, Yellowstone National Park is one of the most favored places to see and hear wolves in their native habitat. Wolves require large areas of contiguous habitat that can include forests and mountainous terrain, and Mexican gray wolves can thrive in desert and brush in the southwest. Wolves live, travel and hunt in packs of 7 to 8 animals on average. 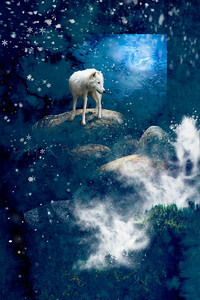 Packs include the mother and father wolves (called the alphas), their pups and older offspring. The alpha female and male are typically the pack leaders that track and hunt prey, choose den sites and establish the pack's territory. Breeding season occurs once a year late January through March. Pups are born blind and defenseless. The pack cares for the pups until they fully mature at about 10 months of age when they can hunt on their own. Once grown, young wolves may disperse. Dispersing wolves have been known to travel 50 to 500 miles. WINTU STEALS FIRE WOLF Gray wolves Gray wolves range in color from grizzled gray or black to all-white. As the ancestor of the domestic dog, the gray wolf resembles German shepherds or malamutes. Wolves play a key role in keeping ecosystems healthy. They help keep deer and elk populations in check, which can benefit many other plant and animal species. The carcasses of their prey also help to redistribute nutrients and provide food for other wildlife species, like grizzly bears and scavengers. Scientists are just beginning to fully understand the positive ripple effects that wolves have on ecosystems. Today, their range has been reduced to Canada, Alaska, the Great Lakes, northern Rockies and Pacific Northwest. 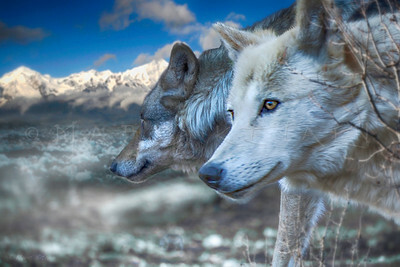 Thanks to the reintroduction of wolves in 1995, Yellowstone National Park is one of the most favored places to see and hear wolves in their native habitat. Wolves require large areas of contiguous habitat that can include forests and mountainous terrain, and Mexican gray wolves can thrive in desert and brush in the southwest. Wolves live, travel and hunt in packs of 7 to 8 animals on average. 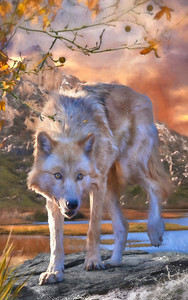 Packs include the mother and father wolves (called the alphas), their pups and older offspring. The alpha female and male are typically the pack leaders that track and hunt prey, choose den sites and establish the pack's territory. Breeding season occurs once a year late January through March. Pups are born blind and defenseless. The pack cares for the pups until they fully mature at about 10 months of age when they can hunt on their own. Once grown, young wolves may disperse. Dispersing wolves have been known to travel 50 to 500 miles. 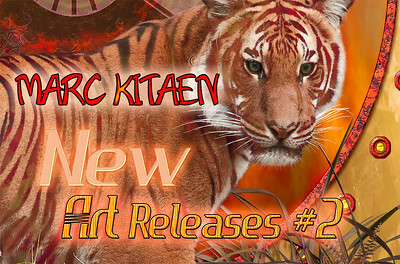 "DEFIANCE" ©Marc Kitaen In this artwork of the two male wolves your seeing, on the left is the current Alpha Male of the pack, on the right is the up coming next pack leader "Wintu". Clearly here "Wintu" is flexing his claws and has extended his arm and body in front of the Alpha Male, showing his desire for the meat treat about to be thrown their way, and to tell the other Male that the treat is his to have... 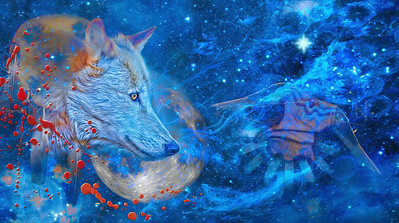 The wolf images are from my photo shoots done at the California Wolf Center, located in Julian, CA. 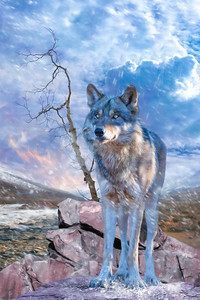 SPRING FORTH SPRINGTIME WOLVES Gray wolves Gray wolves range in color from grizzled gray or black to all-white. As the ancestor of the domestic dog, the gray wolf resembles German shepherds or malamutes. 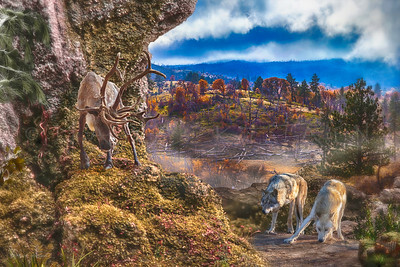 Wolves play a key role in keeping ecosystems healthy. They help keep deer and elk populations in check, which can benefit many other plant and animal species. The carcasses of their prey also help to redistribute nutrients and provide food for other wildlife species, like grizzly bears and scavengers. Scientists are just beginning to fully understand the positive ripple effects that wolves have on ecosystems. Today, their range has been reduced to Canada, Alaska, the Great Lakes, northern Rockies and Pacific Northwest. Thanks to the reintroduction of wolves in 1995, Yellowstone National Park is one of the most favored places to see and hear wolves in their native habitat. Wolves require large areas of contiguous habitat that can include forests and mountainous terrain, and Mexican gray wolves can thrive in desert and brush in the southwest. Wolves live, travel and hunt in packs of 7 to 8 animals on average. 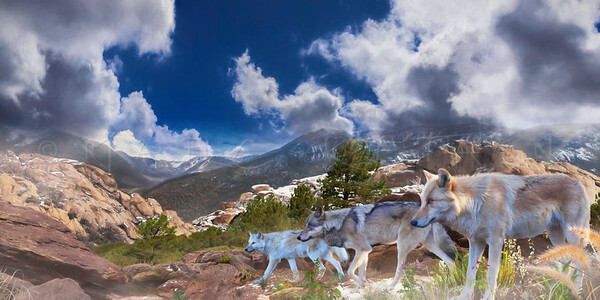 Packs include the mother and father wolves (called the alphas), their pups and older offspring. The alpha female and male are typically the pack leaders that track and hunt prey, choose den sites and establish the pack's territory. Breeding season occurs once a year late January through March. Pups are born blind and defenseless. The pack cares for the pups until they fully mature at about 10 months of age when they can hunt on their own. Once grown, young wolves may disperse. Dispersing wolves have been known to travel 50 to 500 miles. 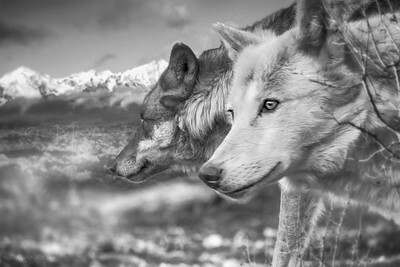 "SENTINELS" alaskan grey wolf The wolves here are the Alpha Male & Alpha Female together back in 2013 at "CWC". I like to believe that they astral travel in their dreams, and that this scene is where they like to take a regular trip to... if only. 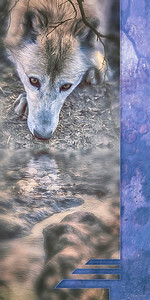 The wolf images are from my photo shoots done at the California Wolf Center, located in Julian, CA. MOON STRIDER ARCTIC WOLF White wolf of the North Thanks to its isolation, the arctic wolf is not threatened by hunting and habitat destruction like its southern relatives. In fact, the arctic wolf is the only sub-species of wolf that is not threatened. Arctic wolves are smaller than grey wolves, They also have smaller ears and shorter muzzles to retain body heat. Due to the extreme cold where the Arctic Wolf lives, they have two thick layers of fur. The outer layer actually gets thicker as the winter months come along. They first layer helps to form a waterproof barrier for the skin. As a result their body temperature can stay warm enough even when it is bitter cold. The arctic wolf lives mainly on muskox, Arctic hares and caribou. As the permafrost (permanently frozen ground) prevents the Arctic wolf from digging a den, they typically live in rocky outcrops or caves. Each year the mother wolf gives birth to two or three pups. Distribution: Arctic regions of North Amercia and Greenland. What are the main threats? Unlike other species of wolf, the Arctic wolf rarely comes into contact with human so does not face the threat of hunting or persecution. 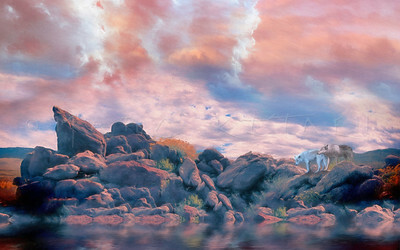 However, the greatest threat to the Arctic wolf is climate change. Extreme weather variations in recent years have made it difficult for populations of muskox and Arctic hares to find food, and this has caused a decline in numbers. In turn, this has reduced the traditional food supply of the Arctic wolf. 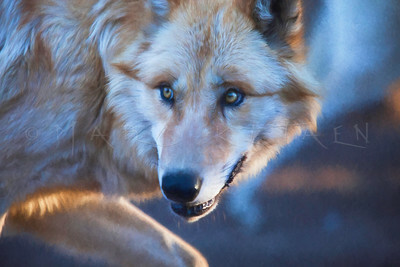 Industrial development also poses a threat to the wolf, as an increasing number of mines, roads and pipelines encroach on the wolf’s territory, and interrupt its food supply.